The following testimonials are from my DUI clients. Each testimonial is reprinted verbatim. For a full listing of testimonials, please click here. Do to the unfortunate decisions of my 21-year-old daughter, we found ourselves seeking a DUI attorney for representation in a extremely difficult situation. While waiting in hospitals, helpful family members sent us the number of a well-paid for advertised “Leading DUI Attorney”. After we paid thousands of dollars, he told us our daughter was “looking at some real jail time” and terminated our relationship. Eric Ganci, listened to our nightmare and took on our case with amazing speed and expertise he devised a course of action and worked endlessly answering every text, phone call and email; all the while helping us gather evidence our previous lawyer deemed inadmissible. With Eric’s amazing skills, we were able to pull off a miracle and keep our child out of jail and able to plea down her sentence after probation. 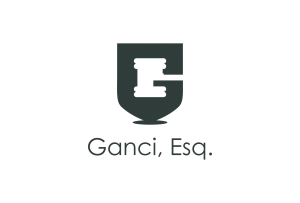 If you are looking for an exceptional DUI lawyer that is incredibly knowledgeable, look no further than Mr. Ganci. He gave us back our lives. I recently got a dui and another big misdemeanor on top of that. I was really worried through this whole process until I called Eric. He was always very responsive to my phone calls and emails, and promptly answered my questions no matter how small they may have been. He is one of the smartest people I have ever talked to and knew so much about my bloodwork and the DUI case in general and the science behind it which was impressive. He knew exactly what to present to the DA and got my DUI charge reduced, and got my additional charge completely dropped. I couldn’t be happier with Eric Ganci. I searched high and low trying to find the most knowledgeable, educated, and respected representation in the San Diego area and that lead me to Eric. When the chips are down you can count on him to pull off a miracle. Eric is educated in both law and science and understands one cannot exist without the other. Science and forensics are quickly becoming the “new law” in our current and future generations and it’s important to understand how both law and science intertwine with one another. For him, this is more than just a “job” as it is also his passion. Its not very often you talk to someone who gets excited when discussion methodologies used for testing ethanol, lol. Eric, thank you for everything you have done. I am grateful for your time and the miracle you pulled off. Our paths will surely cross again, but next time it will be on a more positive note when we seek to get my record expunged. I was real overwhelmed and scared when I got arrested for driving under the influence of alcohol. After spending the night in jail literally that next morning, I was inundated with tons of mail from lawyers trying to represent me in my case to fight the charge of a DUI. I found Eric of Galente Ganci, APC through word of mouth not by junk mail and I knew I was in the right hands for being represented by a lawyer in my case as soon as I walked into his office. This was a very foreign area for me never having to have dealt with the court system or even deal with charges like this against me and Eric put me at ease by explaining the process and lying everything out in a very easy timeline that I could understand. This helped me feel a lot less scared and when all was said and done he was able to get my charges reduced from a DUI to a Wet Reckless even though my blood alcohol level was well above the legal limit. Over all this is one of the best Lawyers that you can have to take care of your case, not only for his record of wins in court, which is one of the best in the industry but because he is one of those rare people out there in the world that actually make you believe in humanity and he just happens to be a lawyer. As a professional who had no prior experience being on the “wrong side of the law,” I was scared, worried and stressed out (to say the least) when I was arrested for a DUI. Getting referred to Eric was the best part of the entire experience…I have no doubt that it could have been much, much worse with a less skilled, thorough and principled attorney. From our first meeting, Eric put my fears to rest while providing the info I needed along with what I should realistically expect. He was so knowledgable and kind that I truly felt I could turn over the lion’s share of the worry and stress to him. His advice on everything from insurance to the DMV to the whole process and what I should do and not do was invaluable and never led me astray. I cannot thank him enough for his wonderful service. I was charged with a DUI on Sept 17, 2011, I retained Eric Ganci as my attorney. He was able to have my case dismissed. I am 100% satisfied with his services and would absolutely recommend him to any one with a DUI problem. Before I hired Eric Ganci, I had hired a lawyer who really didn’t do much for me for the better part of a year. Before even meeting in person, just from an over the phone consultation I felt so much more confident in his ability to argue my case effectively. He is very responsive, and available. He answers his phone personally, and he’s extremely capable. The outcome of my case was incredibly favorable due to his expertise and efficiency. Highly recommended. Considering the nature of my offense and my professional field, discretion was of utmost importance to me. Mr. Ganci handled my case quickly, efficiently, quietly, and with a great result! Also, he could have easily charged me thousands of dollars more, and for these results, I would have paid! I have worked with another attorney when this case started and the difference between the two is worlds apart. His performance was superb, his demeanor was professional, his actions discreet, and his rates more than reasonable. All-in-all, I can confidently say that Mr. Ganci is the best DUI attorney in San Diego. Eric helped me through a tough spot. I had an older DUI that he argued for an end to the probation and to have expunged from my record to help me keep clean for my job. Both were successful. Eric was very detail-oriented and stayed well-connected to me so that i never had to wonder what the status was of my case. I couldn’t have asked for a better guide and defender through this. I am not going to get into to the specifics of my case, but will say I contacted a dozen lawyers and they all said the same thing. I will be convicted of a DUI and there is nothing we can do unless we take this to trial. It was that or most of them were completely dishonest. Hearing this was killing me, because my whole life was going to be ruined due to this DUI. I was then referred to Mr. Ganci by a friend of mine in Law School, so I entertained the offer and spoke with him. Immediately talking to him made me clear he was the guy to take my case. He even said himself this is going to be tough but we will fight until the end. Mr. Ganci always returned my calls the same business day and gave a 100% in everything he did. His honesty and integrity showed, everyone respects him in the legal field. This made me feel so comfortable knowing we still had good people out there that can represent you, because I had no control over my situation. Mr. Ganci won my DMV hearing, which to me was a miracle. I honestly can’t believe he pulled that off, I had refused both breath and blood which should have led me to a one year suspension. From there we moved on to the courts where I was really worried, this was the most important part. Mr. Ganci somehow pulled it off again; I was NOT convicted of a DUI and we didn’t even have to go to trial. Mr. Ganci is a legal genius and one of the most honest gentlemen I have ever met. He was worth every penny!! I recommend Mr. Ganci all day and every day, he is down to earth and will always give you the truth. Lawyers like this man don’t exist anymore; if you need a DUI attorney hire him. If you don’t well good luck!!!! Arrested for a felony/DUI, I switched attorneys and promptly hired Eric after he helped me understand there were possible options other than rehab/jail for a first time offender with an otherwise clean record. Eric keeps you informed of the latest trends and regulations and his constant guidance kept me from going to jail. He possesses an invaluable source of knowledge in this field and I do not know what I would have done without him. His response time to all of my questions (and I had plenty of them) was beyond my expectations. Eric can be trusted to provide constant support. He was consistent, dependable, conscientious, always fully prepared, and reliable. Look no further Eric is your DUI guy to hire! I am greatful for his honesty and not just taking my money and wasting it. He fought hard for me at the DMV, kept me constantly informed about the situation, and I determined that he was very knowledgable about this area of law. I would recommend him over any other attorney. I am a Belgian Business man, doing lots of business in Us and Canada, and Mr. Ganci was very helpfull to me. I coiuld always count on him, even after 2 years for early termination of probation. I met Mr. Ganci on January 5, 2012 after hearing of him through an attorney friend that had gone to his weekend seminar. As my attorney friend spoke of Mr. Ganci, he literally said at least 3 times, “Ashley this guy can help you, if anyone can help with your case, it’s this guy”. I called Mr. Ganci on his cell phone that day and he answered, what I felt to be an amazing personal gesture already & Mr. Ganci has continued in the same manner throughout the entire time we’ve worked together. He really listened to what I was saying and feeling, mostly that I had no clue what to do or what my options and or consequences would be. We spoke on the phone for about a half hour and had a conversation which you could say “sold” me. I was most impressed with Mr. Ganci’s ability to present me with a feeling that, a. he was incredibly knowledgable and experienced, b. he would really do anything in his power for me(which also were his actual words as well in the opening email he sent me) and c. the most important for me personally was he left ego out of it, one of the last things he said on the phone was something to the effect of, “sometimes, it’s all the experience I have, sometimes I am able to say the right thing at the right moment, and sometimes it’s by the grace of God we win cases.” We set up to meet the next afternoon. On our first meeting in person, he listened to any & everything I had to say, over an hour of his time, in a beautifully clean & tranquil office(plus eco-friendly using glass instead of plastic for drinks and the least paper as possible, also a HUGE selling point for me). He was very clear and honest when it came to going through my case and my record, as it is an interesting multi-dimensional history. We also talked the fun financial part, which by this point I had already 1000% committed that he was the one to help me and that Mr. Ganci was worth every single penny I had for the type of peace of mind he gave me in such a short time. I retained Mr. Ganci that afternoon, and received an opening email from him within 2 hours outlining everything we spoke about, this practice of his I have also found to be extremely settling in organizing my thoughts & actions. Not only do I receive an email or a call after every meeting, he outlines everything and he writes or called personally every single time, plus when talking about the consequences I faced he used the term “we” or “us” instead of you. Mr. Ganci really made me feel like everything was going to be better than ok, and I completely trusted that he would represent ME & my beliefs in a purely nonjudgemental way, which he did ALWAYS. As far as my case is concerned, it was quite the whirlwind, as I mentioned my history is multidimensional: I had a prior DUI in 2006, and a felony in 2008, now this second DUI in 2011. The first courtdate left us both feeling a little shocked with the DA’s only “offer” of 30 days in custody. As we decided this was absolutely not the best for anyone, or even reasonable in our eyes, Mr. Ganci requested a future court date, & the judge also informed us I was still on probation so this would be a violation case as well. Even with that type of offer and a new case being added, we were able to calm down and Mr. Ganci was still able to lead me to the best decisions. When we came back to court on February 29th, they drastically reduced everything, and instead of facing what would have been a lot more time in custody because the probation violation, Mr. Ganci got the DA to agree to let me wear an alcohol detector bracelet so I could remain free..the ultimate goal. After the courtdate, once again I receive an email within a couple of hours from Mr. Ganci that went over absolutely everything that I was sentenced to and responsible for, this made everything way less overwhelming. I feel that there is not a better man that could have represented me, and in my eyes when referring those I love, there is no other choice than Eric Ganci. Eric was a life-saver! Helped me get my probation terminated and therefore my DUI expunged. He was attentive, informative, timely, and always there for me. I wholeheartedly recommend him and his services!! Mr. Ganci is an excellent attorney that handled my case with speed and efficiency. He responded quickly to all inquiries I made as to my defense and was very knowledgeable on the area of law he was covering. He was able to get a misdemeanor charge reduced to a violation and a fine reduced the lowest amount possible. Most importantly, Mr. Ganci was able to provide peace of mind to me as a client and efficiently guide me through the legal process. I would absolutely recommend Mr. Ganci for legal services.